iPhone 5S to lead the way? 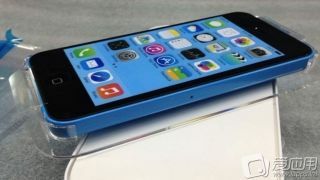 Now that we know for sure when the iPhone 5S and potentially the iPhone 5C will be unveiled, attention turns to figuring out when the next-gen Apple handsets will actually go on sale. Following the confirmation from Cupertino that it's next iPhone launch will take place on Sept. 10, a report from the U.K. suggested the devices will arrive at retailers on Sept. 20 and Sept. 27. Those two dates, mentioned in a report from The Telegraph, have been mooted in the past but the paper's sources in the courier industry (of all places) appear to add a little more credence. Today's report follows up an earlier claim from The Telegraph that stores are being told to prepare to display two different iPhone devices that will arrive on two different dates. If The Telegraph's stories come to fruition, the smart money would be on the new iPhone being first to arrive on Friday, Sept. 20. That would mean the heavily-tipped, cheaper iPhone 5C would be a safer bet to go on sale a week later on Friday, Sept. 27. The dual release dates would likely be great news for Apple, virtually ensuring two huge retail weekends with the traditional lines-around-the-block at its official stores around the world. It's highly unlikely that the company will confirm the release dates before its keynote event in Cupertino next Tuesday, so we'll have to wait and see what Tim Cook and Co. reveal. What can we expect from the iPhone 5S? Check out our comprehensive news, rumours and release date round up.